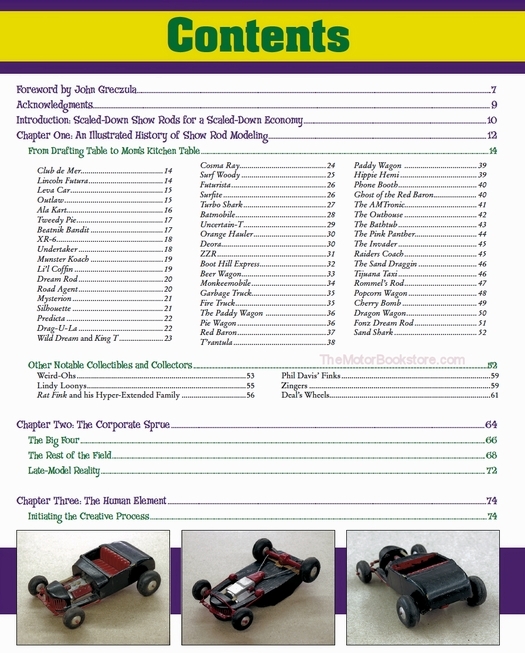 Scotty Gosson, daring drag racer extraordinaire and competitor of land speed racing at Bonneville on salt, offers interested readers and hobbyists his unique and humorous insight into hot rod model kits. Gosson writes for Hot Rod DeLuxe magazine and is well known for his witty, knowledgeable articles accompanied by awesome, fun photography. 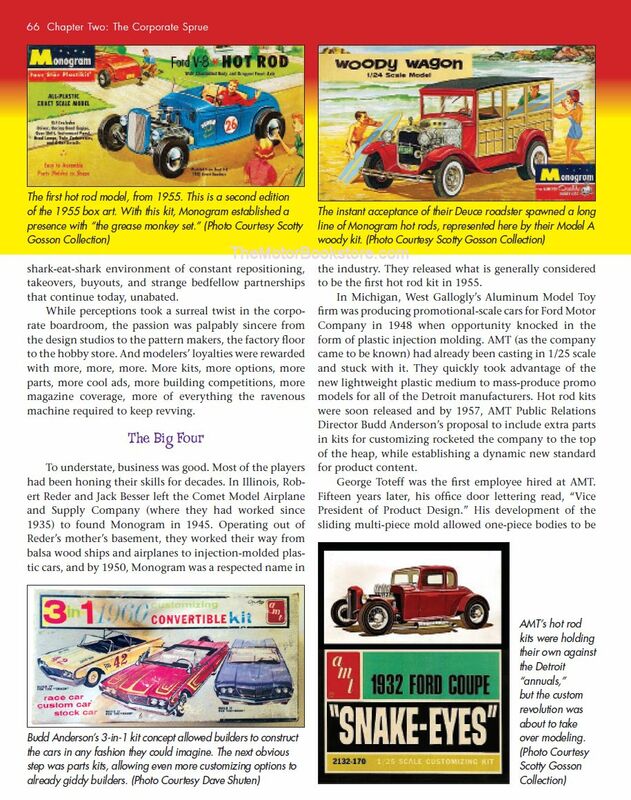 Gosson's skill in presenting compelling, historically and mechanically accurate knowledge of hot rods to magazine followers carries over into Show Rod Model Kits: A Showcase of America's Wildest Model Kits. Lovers of fast cars from an old American era of style that consisted of large engines modified for linear speed will absolutely enjoy Gosson's book, which is perfect for people who love rod model kits for fun or sport. In addition to photographs of stunning car design and articles filled with minute car details, readers can expect to enjoy the insight behind the design of hot rod models from the perspective of interviews with the designers, car builders and corporate spokespersons across the automotive industry. Any and all of the above reasons are wonderful reasons to own Gosson's book. Readers interested in hot rod models will treasure this complete resource of detailed design, art and history presented expertly by Gosson. 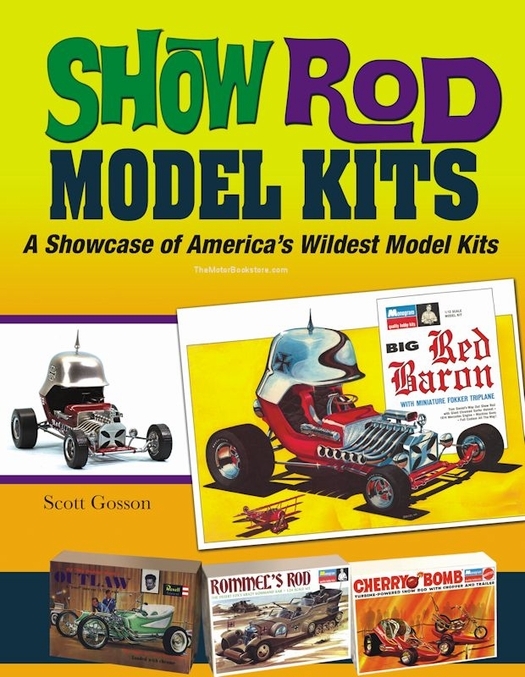 Show Rod Model Kits: A Showcase of America's Wildest Model Kits is a must have treasury of cars for any library. 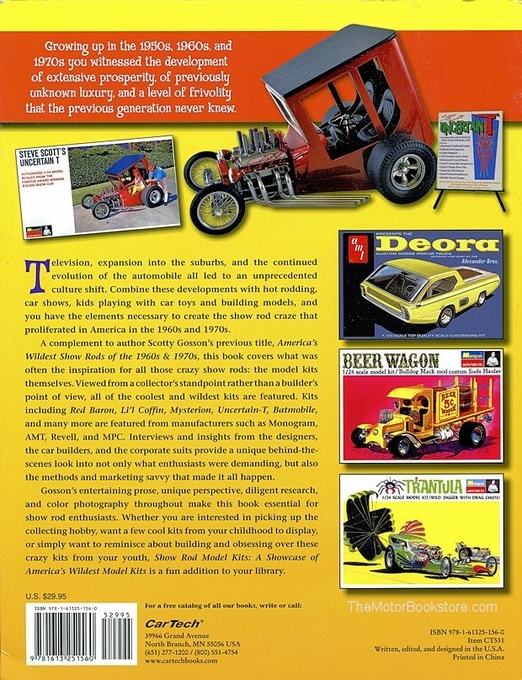 Refer to the Specifications Tab for a sample page from this book which the "Big Four" models of a by gone period..
Below: Show Rod Model Kits: A Showcase of America's Wildest Model Kits by Scott Gosson - Sample Page. Copyright CarTech Books. Above:Show Rod Model Kits: A Showcase of America's Wildest Model Kits by Scott Gosson - Table of Contents. Copyright CarTech Books. Ask a question about Show Rod Model Kits Showcase.